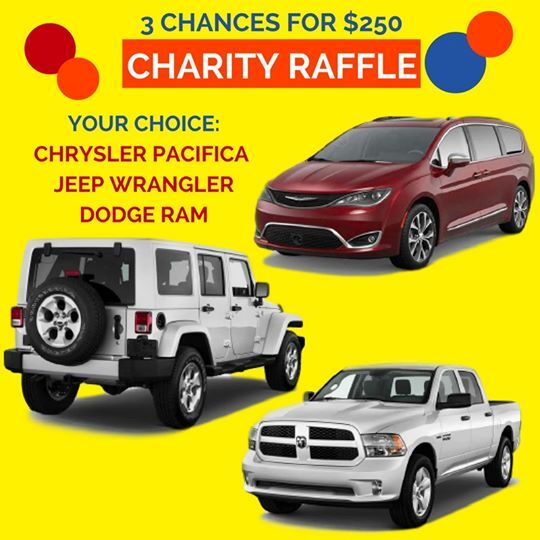 The winner of the car raffle will be drawn on October 1, 2017. The winner will be notified by phone. Taxes, cost of delivery, and additional fees are not included as part of the prize. The winner is responsible for these additional costs. CCA Adult Nick Wiese, and his family spearhead this event. Wiese was born with Apert Syndrome, a genetic disorder that affects the skull, face, feet and hands from properly fusing and growing. He found CCA as an adult. His close-knit family supported him through many corrective surgeries, and Nick felt completely at home when he arrived at his first Retreat, meeting dozens of other families affected by facial differences. Wiese wants to help the next generation of kids that were born with craniofacial conditions through this car raffle. “I share my life story and how I was bullied and how it felt. To me, doing that is pure joy because it lets CCA Kids know they're not alone, that someone has gone through what they might be going through,” he said. Each year approximately 25,000 children in the United States are born with or develop some form of facial disfigurement. The funds raised at each of these fundraising events goes to support medical travel for children with craniofacial conditions that require reconstructive surgery. Since our children’s cases are so rare and unique, 80% of our families do not live in the same city as their surgeon or specialist. CCA is the premier organization that assists families on the craniofacial journey. CCA provides financial assistance for the ancillary costs of medical care and provides funding for travel, including airfare, lodging, and food. CCA also uses funds raised to host the Annual Family Retreat and Educational Symposium, a four-day event for families affected by facial differences to gather, network with one another and exchange ideas, develop lifelong friendships, and enjoy the chance to feel totally accepted for who we are, not what we look like. Adam Freiss won the car raffle. He chose the Dodge Ram. An upcoming blog post will feature his story.